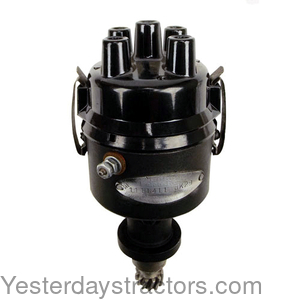 For tractor models B, C, CA, WC, WD, WD45, WF and D14 all 1111735, 1111411 or 1111745 labeled distributor. A refundable $80.00 core charge will be added to your invoice. IF ORDERING ON-LINE, THIS ADDITIONAL CHARGE WILL BE ADDED TO YOUR ORDER AFTER YOUR RECEIPT IS PRINTED. Also NOTE: Note that if the core is not a complete and good core, part or all of the core charge will not be refunded. Typically, most cores need a shaft replacement and the cost of the shaft will be deducted from the core charge. This is usually $30.